In the follow-up to their 2013 reboot, Flying Wild Hog has taken the foul-mouthed ninja Lo Wang in a new direction. 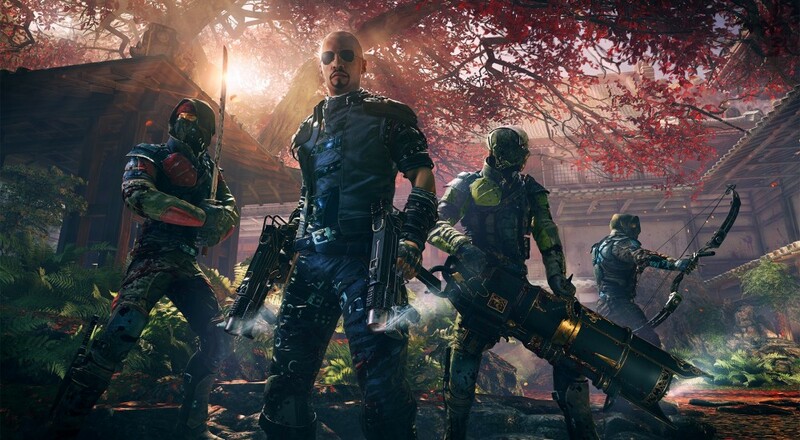 Shadow Warrior 2 has more in common with titles like Diablo and Borderlands than it does with other FPS games like Call of Duty. It’s a shift that mostly works in its favor, too, as the gameplay is more engaging and the cooperative experience more rewarding. 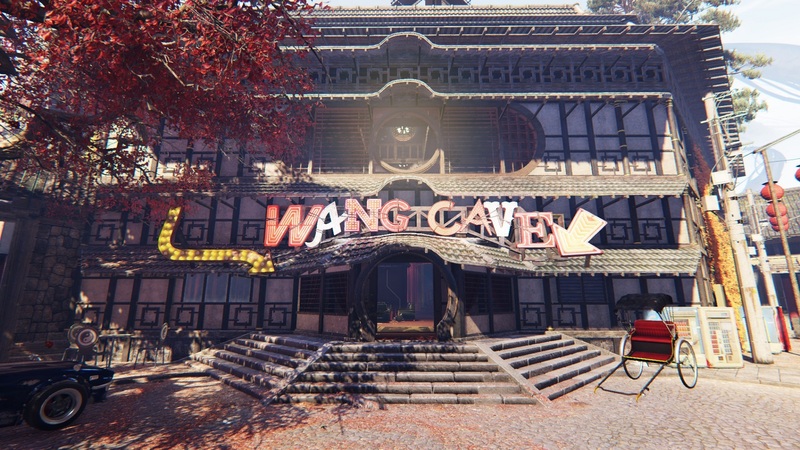 At the end of Shadow Warrior, Lo Wang’s actions lead to the Shadow Realm (the realm of demons) and our world to blend together through an event known as “The Collision.” Five years later, demons and monsters now roam free and the foul-mouthed ninja earns his living as a mercenary-for-hire. When a local Yakuza gang tasks him with retrieving an artifact from a ancient temple, Lo Wang once again finds himself embroiled in plots involving the Ancients - the immortal rulers of the Shadow Realm - and his old boss, Orochi Zilla. It is a decidedly “B-movie” kind of story, but, at times, it feels like it would fit alongside the likes of some classic ‘80s action titles like “Big Trouble in Little China.” It never dives deep into the realm of being self-referential or fourth wall breaking, and Lo Wang’s… err, dickish behavior is treated by the rest of the cast as, at best, exhausting, making his constant stream of jokes and one-liners more tolerable (and even funny in parts). While there are familiar faces and a few references to events in the first title, there’s nothing about the the story itself that requires you to have played through it in order to follow what’s happening here. Whereas the rebooted Shadow Warrior followed the familiar routine of story beat, mission, story beat, new mission in a different area, rinse and repeat, Shadow Warrior 2 dips its toes into the realms of open-world games, RPGs, and loot shooters. After the first couple of intro/tutorial missions you’ll find yourself at Dragon Mountain, which acts as the hub area for the game. There are two NPCs that will sell you upgrades and new weapons, and other characters in the area will hand out the Story and Side missions. Completing these missions will net you rewards like new weapons, skill points, and money, which can be spent to purchase weapons and upgrades from the aforementioned merchant NPCs. While both the Story and Side missions have set objectives for you to complete, each one will drop you into a fairly open area for you to explore. You can follow the dots on your mini-map to your mission objective, or you can roam around for a bit killing foes and collecting loot. Each mission has a unique boss to discover who drops a unique weapon, gives you a new ability, or both; so it’s worth taking some detours. The only real distinction between the Story and Side missions is your purpose for undertaking whatever tasks you’re assigned. Side missions are little more than a way for you to acquire new weapons, upgrades, and skill points so you can make Lo Wang “stronger,” in a sense (more on all of that in a bit). Most of the Side missions are just one-offs, though a few have multiple parts, such as having to track down a set of ancient scrolls for an NPC. The Story missions progress the overall narrative but they also act as dividers, in a way, between the game’s different (informal) “acts.” When you choose to start certain Story missions from the mission select screen, you will first see a message stating that completing that mission will prevent you from taking on or completing certain Side missions. In other words, the Story mission will change the hub area in some way such that some NPCs may no longer be available. This kind of gating is a bit odd, but it makes sense when you consider the way the game handles Lo Wang’s progression.